At an oversight hearing on Wednesday of the City Council’s Committee on Technology, good government and civic technology experts praised a pair of bills aimed at updating the city’s 2012 open data law, but raised concerns that the proposals could have unforeseen ramifications. The city’s current law mandates that city agencies publish non-confidential agency data on a public web portal for all New Yorkers to see and easily access. The open data portal is now home to over 1,600 data sets, with hundreds more data sets scheduled to be released in the coming years. 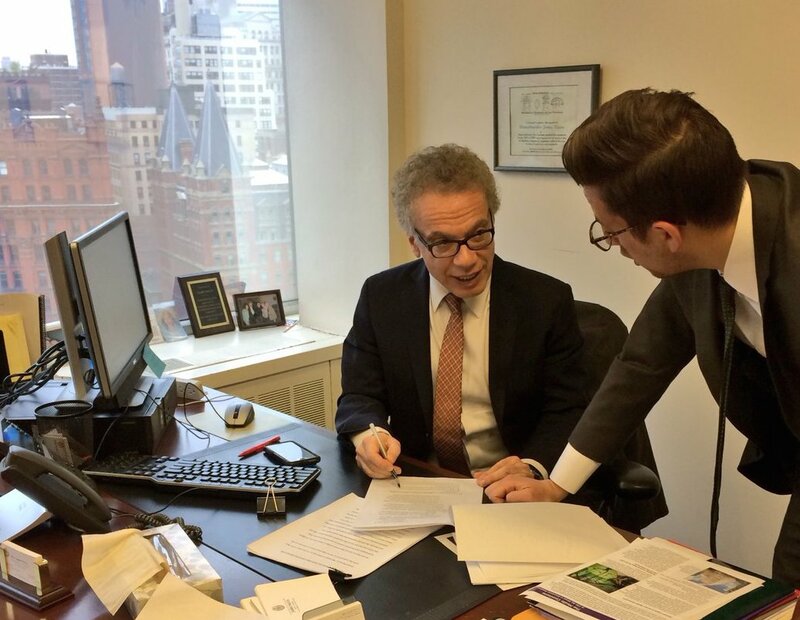 The two “Open Data 2.0” proposals, sponsored by Council Member James Vacca, chair of the committee, and supported by Manhattan Borough President Gale Brewer, are intended to bolster open data reporting standards as well as improve certain areas of the current policy. “Access to government information ensures public institutions can be held accountable,” said Vacca, in his opening statement. “In New York City, the importance of public access to data is reflected in both law and practice.” He noted that New York City had been the first municipality in America to pass a law requiring public data be posted online in machine readable formats. 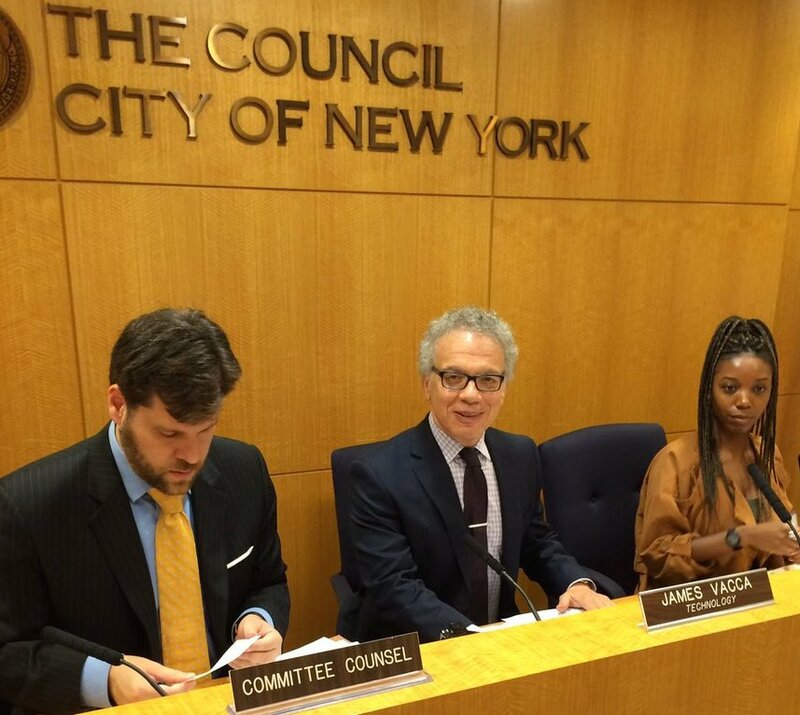 The hearing was a bittersweet occasion for Vacca, who is term-limited and will be leaving the City Council in December after 12 years. It was his final oversight hearing on open data policy, a project he has long championed. The city’s open data policy is seen as a model not just for the United States, but the entire world, Brewer noted in her opening statement at the hearing. “I just met with elected officials in Spain... And they are looking at our law,” Brewer said. To illustrate one of the uses of open data, Brewer will be joining civic technology group BetaNYC to host a “311 Data Jam” on Saturday, employing the city’s dataset on the 311 helpline. It’s the third such event hosted by BetaNYC, and they will be introducing “BoardStat,” a tool for community boards to analyze visualized 311 data in order to discover community trends. The bulk of Wednesday’s hearing covered Intro. 1707, which includes provisions requiring reviews of the “Technical Standards Manual,” which is the guideline for how agencies manage and present their datasets every two years, to ensure the datasets remain up to date. The bill codifies a requirement for city agencies to appoint an “open data coordinator” to ensure agency compliance with the open data law. It also changes the deadline for agencies’ compliance plans from July to September, to avoid conflicting with the city’s budget season. The bill would also require that data analytics on public usage of the data portal be collected and studied. Criticisms of the legislation stemmed not from opposition to any one plank, but rather from unintended consequences that certain provisions of Intro. 1707 could have in areas such as agency reporting, accountability, and protection of individual privacy. One provision in the proposal raised eyebrows among good government groups and civic technologists. 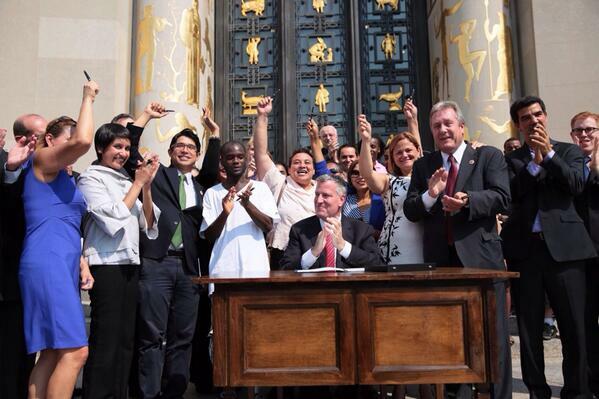 Noel Hidalgo, executive director of Beta NYC, and John Kaehny, executive director of Reinvent Albany, pointed out that the bill extends the open data compliance deadline for city agencies from 2018 to 2021, a full nine years after the law went into effect in 2012. Many datasets from numerous city agencies are currently scheduled for release on the current deadline, December 31, 2018. Kaehny said allowing agencies to hold off on publishing data is akin to a high school student saying they’ll turn in all of their homework on the last day, a promise that can’t be seen as reliable. He made similar comments to Gotham Gazette in July after the city released its annual update to the open data plan. Kaehny referred to the extension to 2021 as a “homework extension” that will never be turned in. Another aspect of Intro. 1707 that received some critique was a provision calling for the collection of data analytics on visitors to the portal. Concerns were raised that recording data on unique visitors to the portal, especially those exploring data that could be construed as sensitive, might violate an individual’s privacy. The language of this provision in the bill was viewed as vague. Those who testified otherwise generally praised the proposed biannual review of the TSM, the change in the annual compliance deadline from July to September, and codifying into law the agency requirement of an open data coordinator. The bill also saw some critique for what it lacked, such as a “private right of action,” the ability of the public to sue agencies failing to perform their duties. Kaehny noted that the only course of action without the private right of action is to “name and shame” agencies considered to be “laggard” in regards to their dataset releases. According to Kaehny, open data is one of the few pieces of legislation in New York City that does not include a private right of action, making it highly unusual, especially for such a major city law. Brewer echoed the call for a private right of action, emphasizing that future administrations may not be as committed to transparency. “I believe we must provide a private right-of-action to protect the New York City municipal open data apparatus from a future administration that does not wish to operate it in good faith as the current and previous administrations have done,” she said. She cited the Trump administration’s moves immediately post-inauguration to delete data that had been posted online under the previous administration; there is no federal law that establishes similar data protections as New York City’s policy. Kaehny claimed that even naming and shaming is a difficult task, given that agency compliance with the law is not compiled in a single spreadsheet on the portal but rather in four separate spreadsheets. Compiling all relevant information about published and unpublished datasets into one spreadsheet was one of Reinvent Albany’s key recommendations to the committee. “What we’re seeing is fog when it comes to understanding exactly how well agencies are doing,” Kaehny said. The administration also had suggestions for improving the bill. Echoing testimony from the advocates, DoITT’s Webber expressed dismay at the law’s lack of any licensing requirements for the data, hoping that “permissive licenses,” licenses with few, if any, redistributive restrictions, could be added to the program. Also under consideration at the hearing was Intro. 1528, an amendment to an existing open data law that would require agencies that process Freedom of Information Law requests involving non-confidential data to report and publish the names of the public datasets, rather than simply the metrics of the datasets. The measure received overall support from those testifying before the committee. The New York City Council’s Committee on Technology held an oversight hearing Tuesday to evaluate the progress being made by the city in tracking compliance by government agencies with the city’s open data law. The Mayor’s Office of Data Analytics (MODA) has been conducting what is essentially an audit, the “Examination and Verification Plan,” to gauge each agency’s status regarding its publication of required data sets on the Open Data Portal, an online access point meant to open government to the public. This means public information on everything from motor vehicle collisions to wifi hotspot locations to leading causes of death, which, in theory, allows regular New Yorkers to better evaluate city services, gives civic technologists more to work with in acting as an outside of government check, and encourages problem-solving using data. 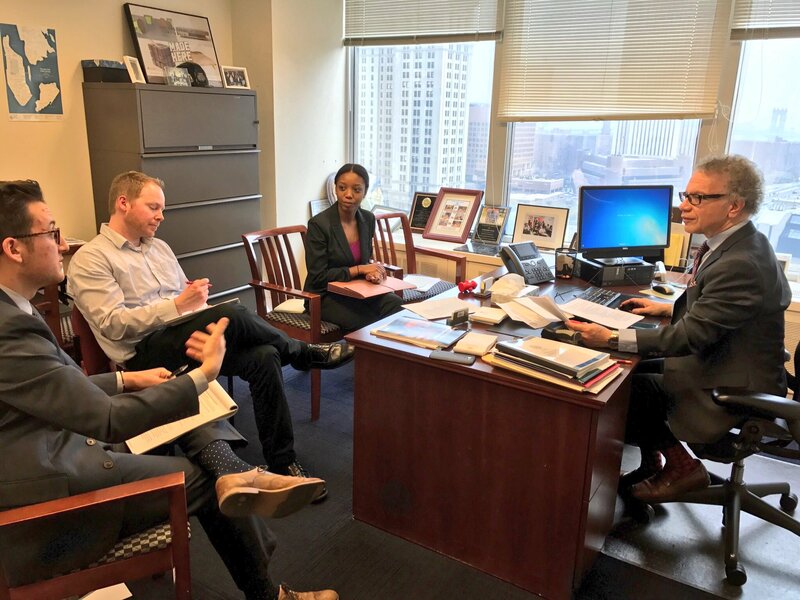 Tuesday’s hearing, chaired by City Council Member James Vacca, was the first on the examination and verification plan, which was adopted early in 2016. It showed that progress is underway in ensuring the quality of data and availability of the appropriate data sets, but raised questions about levels of agency participation, public engagement, and even what constitutes a public data set. While the portal is not lacking in data -- over 1,500 data sets from 60 different government agencies are currently accessible -- Local Law 11 of 2012, the city’s first open data law, mandates that all agencies publish their respective public data sets in entirety by 2019. MODA is employing the Examination and Verification Plan to ensure that each agency is on pace to meet that deadline. The plan calls for evaluation of three agencies per year. In 2016, the first year of the plan, the Department of Corrections, Department of Sanitation, and Department Housing Preservation and Development were selected for evaluation. The aggregation of agency data also benefits those within government. Representatives from MODA explained at Tuesday’s hearing that when government agencies are required to share data, they often have had to go through a manual process, uploading files onto a hard drive or disk. However, now that agencies are posting their data in the portal, other departments are able to access it without going through the antiquated data exchange process. While the hearing touched on a number of benefits of the open data initiative, Council Member Vacca, a Bronx Democrat who chairs the technology committee, did raise several concerns. 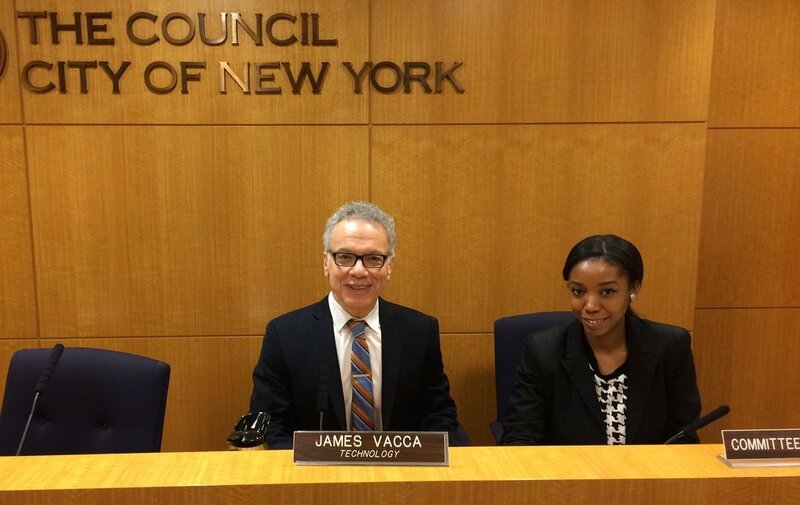 Vacca was also generally curious about non-mayoral agencies, such as the New York City Housing Authority (NYCHA) and the Health + Hospitals Corporation, and their involvement in the examination and verification process. Mashariki explained that though those agencies are not held to the same data-release requirements as other agencies, MODA has been working to get their data on the portal, pointing out that Health + Hospitals has several data sets on the portal. While MODA could not provide definitive numbers, Craig Campbell, a Senior Advisor at MODA, did say that the most-viewed data set on the portal has received over five million hits (though he would not name the data set). Still, Dr. Mashariki firmly agreed that raising public awareness around the availability and advantages of open data must be a core objective. “We need aggressive engagement no matter what the number says,” he said. One way in which MODA is striving to improve accessibility and engagement is through a new data portal website launching in March. The website, according to Mashariki, “makes it easier than ever to request new data sets on the open data portal.” Users will be able track the status of their requests and “get in touch with the open data team on anything from technical inquiries to partnership opportunities.” The website will also ensure that data dictionaries and geospatial fields (interactive maps) accompany all data sets. Also testifying at the hearing was a representative from Reinvent Albany, a good government group focused on open data. The Reinvent representative, Dominic Mauro, largely commended MODA's work, but did raise concerns about whether an agency can be deemed compliant if it possesses data sets that are listed as public but which are not present in the portal, as is the case with the Department of Sanitation. As it turned out, the status of the data sets in question was pending -- they had not been classified as either public or not -- which is why they had not made it onto the portal at the time of the hearing. The public versus private determination that Mashariki referenced speaks to the conceptual as well as practical considerations involved in an undertaking like the open data initiative. Not only must MODA coordinate with agencies’ open data coordinators to aggregate data and ensure quality, they must also consider the spectrum of ramifications that come with publicizing certain information. But questions remain: Could some data sets be exploited to the detriment of New York and its residents? Does the potential for positive opportunity outweigh the potential for exploitation? What about privacy? For example, the Department of Corrections data contains a lot of Personally Identifiable Information on inmates which could potentially compromise an individual. This question of definitions was echoed in the “2016 Examination and Verification Findings Report” issued by MODA on December 1. “Creating a list of eligible datasets is not a cut and dried process, and raised questions regarding the definitions of ‘public,’ ‘data,’ and ‘dataset,’” the report states. It also says that MODA will be working with the Department of Investigations to more clearly define these terms and develop a strategy for classification moving forward.